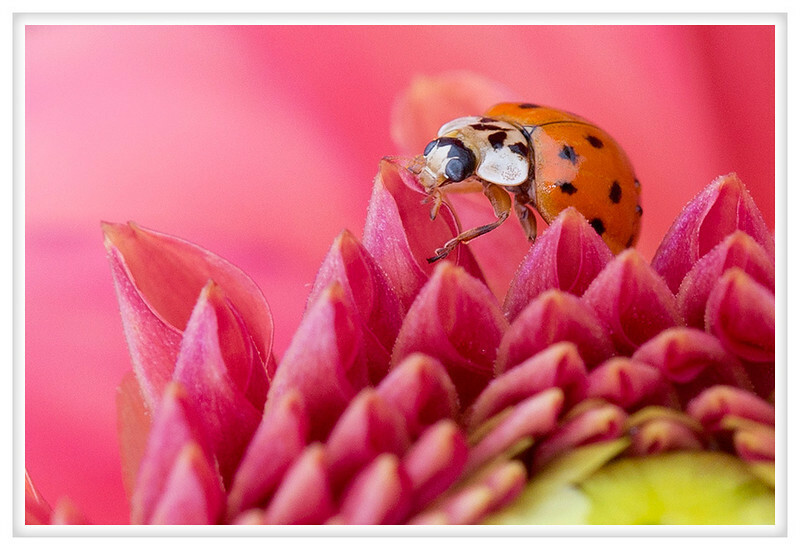 Ladybugs always remind me of my grandmother. She used to tell us before every trip we took "I wish I was a ladybug so I could ride on your shoulder and share your adventures." Recently I got a ladybug tattooed on my arm in her memory so that she is always sharing my adventures but it still brings a smile to my face every time I happen upon a real ladybug, like Grandma is there checking up on me.